Parades. Backyard barbecues. Fireworks. This is how many of us will celebrate the Fourth of July. 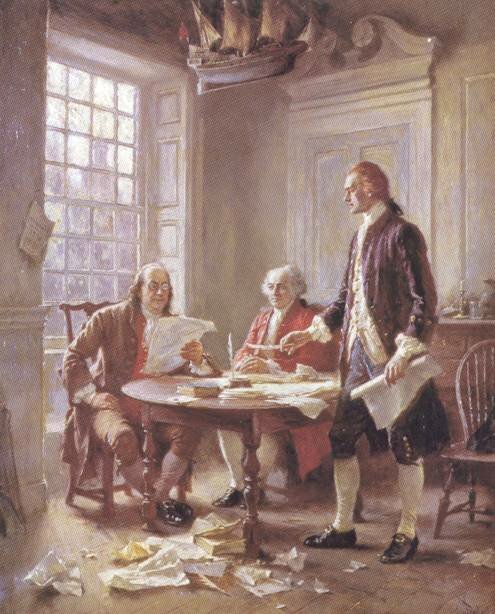 In earlier times, the day was also marked with specially prepared orations celebrating our founding principles, a practice that has disappeared without notice. It is a tribute to a polity dedicated to securing our rights to life, liberty and the pursuit of happiness that we can enjoy our freedoms while taking them for granted, giving little thought to what makes them possible. But this inattention comes at a heavy price, paid in increased civic ignorance and decreased national attachment—both dangerous for a self-governing people. And therefore highlights this passage from Coolidge. So, happy Independence Day, to all genuine revolutionaries. Everyone else: try and catch up.